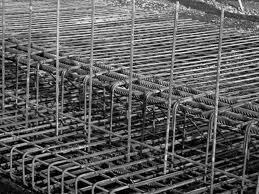 Traditionally, steel reinforcement had been fabricated on the construction site in a very haphazard way, which involved a large labour force and also a huge amount of wastage of steel. This not only meant higher costs but also very long periods of construction. 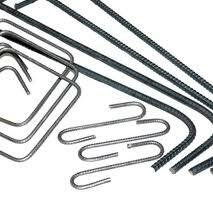 Consequently, the concept of factory fabricated steel reinforcement grew in demand. This is particularly the case where the contracting companies are working on fast track infrastructure or commercial projects. Ours was one of the first Cut & Bent steel facilities to be set up in UAE and we are currently one of the largest and most sought after suppliers of Cut & Bent Steel. Through a very judicious mix of ‘State of the Art’ technology, equipment and software, we have been able to cater to the exacting requirements of various contractors – in fact, during the construction of Burj Dubai (now known as Burj Khalifa), we had supplied about 70,000 tons of Cut and Bent steel to them. We offer the contractor a fast and efficient service by delivering steel to them in installments as per their site’s phased requirements. In this manner, the contractor gets ready to use ‘cut and bent’ steel, bundled and tagged wherein each and every piece of steel bar is identifiable by a bar mark that reflects the specific point where it is to be used. Over and above this, the contractor does not have to bother about the wastage generated by the cutting of steel as he is charged only for the steel actually delivered to him – he does not bear any cost of the scrap or wastage generated during the process of cutting the steel bar to the requisite length.